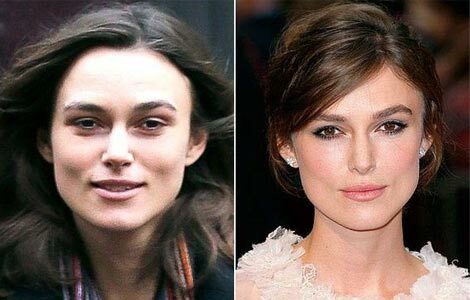 As a woman, there is nothing more important that keeping yourself beautiful… like it or not, we do live in a somewhat shallow world where our appearance matter a lot in many situations. Thus if you look good, you feel good as our physical appearance does affect your overall personality..
And, well, it boosts your own self-confidence and self-esteem. You definitely feel happy or reassured when other people admire you or say that you look nice or good right… and well, social media influencers who are more attractive definitely get an edge over those who do not look so good…. huhuhu. What better way to improve your looks then to go get a makeover… or well, make yourself up….. I have to admit that there are times I am just so lazy to make myself up, but when I put on make up, I am a totally different person….. 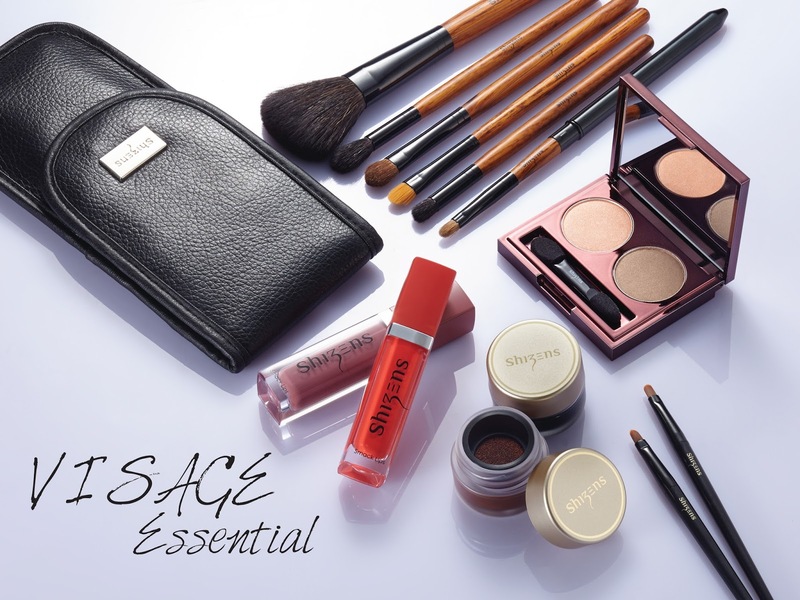 The VISAGE collection basically comprise of Shizens skincare and make-up products to enhance your look without much effort. There are 9 items in this collection, which includes 3 skincare products and 6 make-up products, but well, I am here to share my experience with the gorgeous make-up collection…. The 4 make-up items you really should look out for or check out to get a natural beauty look very much like how those gorgeous K drama actresses look like..., would be the Natural Pore Nutrient Foundation PRO, Hue- Duo Eyeshadow (Sephia Pink), Aqua Eyeliner (Black) and Smack Lips (Cherry Blossom). Apply Natural Pore Nutrient Foundation PRO on whole face as a make-up base. This extremely light weight, sheer and silky foundation is 100% talc-free to create make-up against fine lines and pore imperfection. The essential moisture essence in this product imparted with Vitamin E further pamper skin with a touch of moist and clean sensation. To achieve the Korean style natural look, try giving your eyes a makeover with Shizens brand new Aqua eyeliner, followed by Hue-duo eyeshadow – Sephia Pink. Aqua eyeliner is a cushion type liquid eyeliner which is smudge-proof and long-wearing up to 12 hours. Its lightweight and quick-drying formula allowing you to glides on to lids in a fluid stroke. The cushion sponge allows the comprised brush to fully saturated in rich and highly pigmented liquid eyeliner for smooth and even application. The Sephia Pink Hue-duo eyeshadow also goes on easily on your eyelids as it is pretty pigmented and you can also use it as a blusher if you like…. Complete your very au naturel makeup with Smack Lips, which is a long-wearing and stunning matte lipstick that stand you out in the look. swatches some of the other shades available..
Smack Lips enriched with coconut oil and sunflower butter to lock in moisture in your lips thus prevent skin peeling while cover blemishes effectively, and it really stays on the whole day… Matte lipstick are so trendy nowadays and I have to say this Cherry Blossom colour is just gorgeous… it stays on my lips the whole day and keep me looking great..
You can also use this as a cheek tint.. just dab a bit on your hand and use your finger to dab and blend on your cheek area…. How about trying out a free VISAGE makeover and winning some attractive prizes?? Interested?? Do use this unique code (VISAGE01) to redeem your FREE makeover at major Shizens stores. 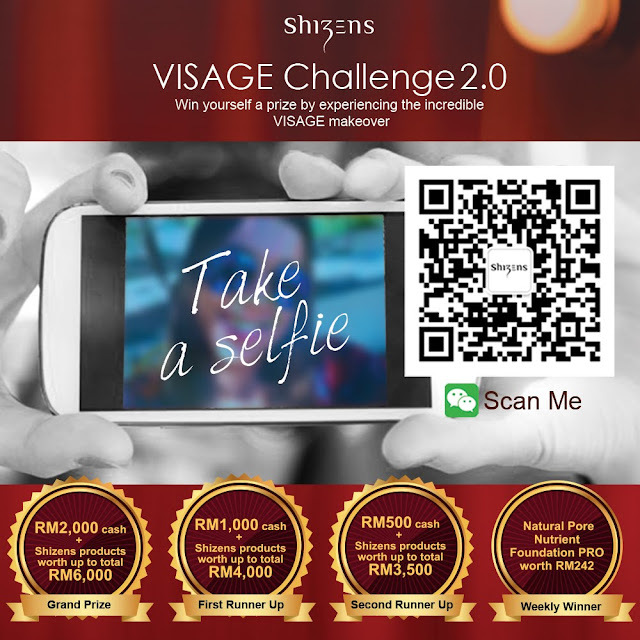 VISAGE CHALLENGE is a contest starting from 15 April - 15 May that you may join to win attractive prizes after the FREE makeover done. It's so easy just snap a photo of yourself after the makeover to show the make up effect and then submit your photo to Shizens Facebook (Inbox) or WeChat. VISAGE COLLECTION Official Launch roadshow is coming soon on 24 - 30 April 2017 at Mid Valley (East Entrance Lobby). Follow Shizens Malaysia Facebook closely to find out more about the exciting activities and offers at the roadshow. See you there at the roadshow, I do so need another makeover, as it is just so much fun seeing how makeup artistes can make you look super gorgeous, way beyond your expectations, so how about you.....!! The collection looks good and you look nice with the make up! Haha! I look totally different too, with and without makeup xP anywa, i love their smack lips so so much! the make up looks good on you! hope to try those make up on too!! i love that smack Lips..